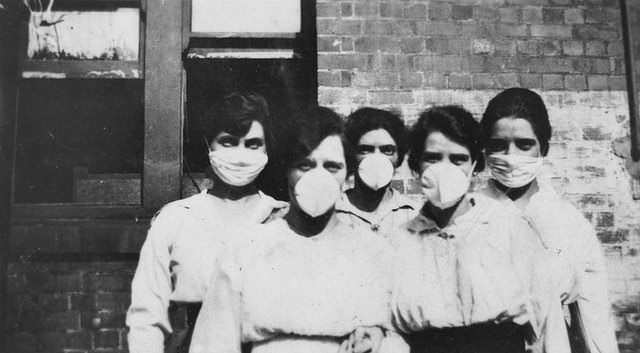 The ‘City in Masks’ project documents Brisbane’s dramatic exposure to the world’s deadliest pandemic – the ‘Spanish Flu’ – in 1919, for a book to be published in the outbreak’s centenary anniversary. This influenza epidemic was Australia’s worst natural disaster, and led to severe and widespread disruption to everyday life for the entire population. ‘City in Masks’ tracks the emergency as the disease moved across the city, carrying illness and death into every suburb – and bringing out surprising stories of heroism and humanity wherever it went. Matthew Wengert is an independent curator and professional historian who has lived in Brisbane since the 1980s. Following his BA (Hons) in Media Studies at Griffith University he worked there as a researcher and tutor for close to ten years, while also researching for ABC and SBS documentaries. He attained an MA (Writing, Editing and Publishing) from University of Queensland in 2014. His main research interests are the violent history of Queensland’s colonial frontier and the medical history of epidemics. He has worked closely with Cherbourg’s Ration Shed Museum for several years as a curator and manager of Indigenous art projects (and he is a passionate collector of Queensland Indigenous art).